37-Gallon Circa Natural Wood Round Storage Box Just $49.39! Down From $75! PLUS FREE Shipping! You are here: Home / Great Deals / Amazon Deals / 37-Gallon Circa Natural Wood Round Storage Box Just $49.39! Down From $75! PLUS FREE Shipping! This is something you shouldn’t miss! 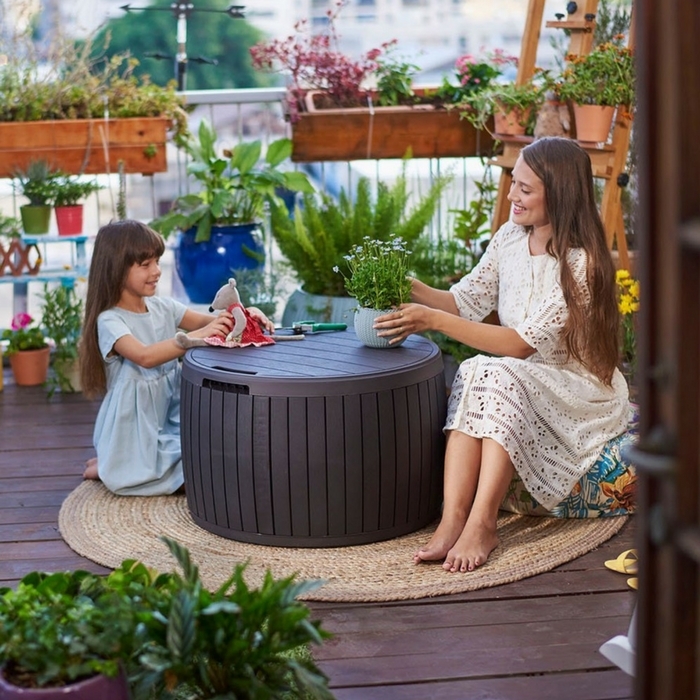 Amazon is currently offering this 37-Gallon Circa Natural Wood Round Storage Box for just $49.39 down from $74.99 PLUS FREE shipping! You will enjoy 37-gallons of interior storage space – perfect for storing garden supplies, decorative outdoor pillows, pool floats, toys, pet supplies and more! Not only that! You can enjoy it as a coffee table as well and set out a small meal or snack to share with family and friends. Really nice deal!